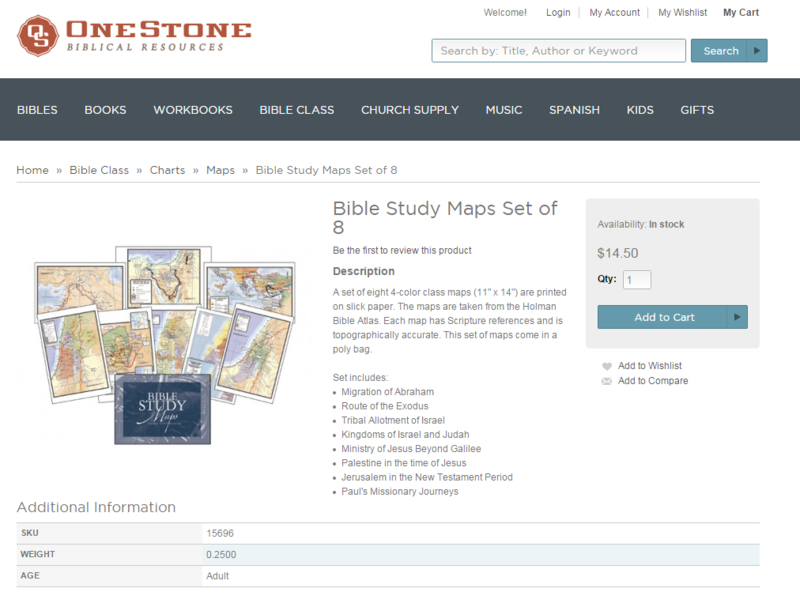 One Stone Biblical Resources is the online face of a longtime brick and mortar retailer that provides Biblical resources and study materials for all ages, including workbooks, children’s curricula, study aids, teachers’ supplies, and much more. InteractOne was tasked with creating and launching a new site built on the Magento eCommerce platform. 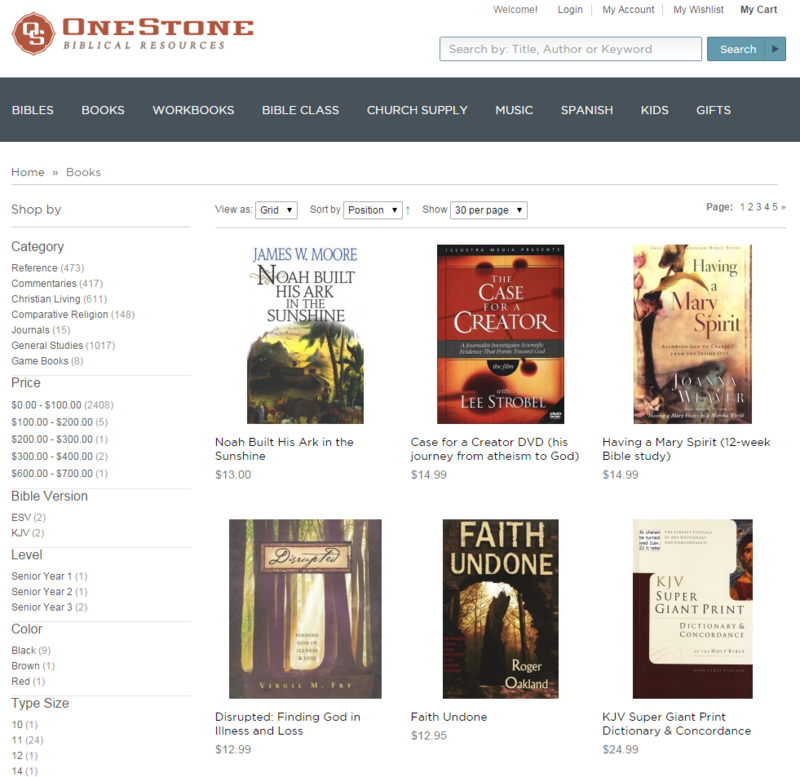 One Stone Biblical Resources needed an eCommerce website that would support their thousands of cross-listed products with a contemporary yet appropriately conservative design, one that suitably befit a Christian bookseller. Like each website project undertaken by InteractOne, developing One Stone’s new Magento eCommerce website began with an extensive Feature Exploration Process. This comprehensive in-house effort ensures that a client’s priorities and website requirements are fully outlined – avoiding unexpected and costly surprises. At InteractOne, we believe that a well-planned approach is the key to any new website development project being executed on time. 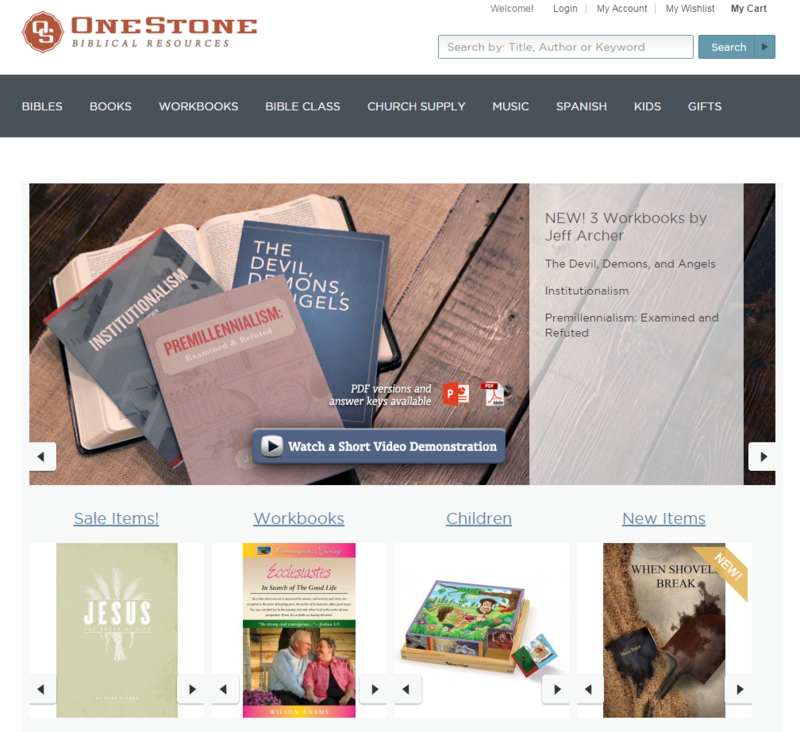 One Stone has achieved double digit month over month increases in both traffic and online sales. 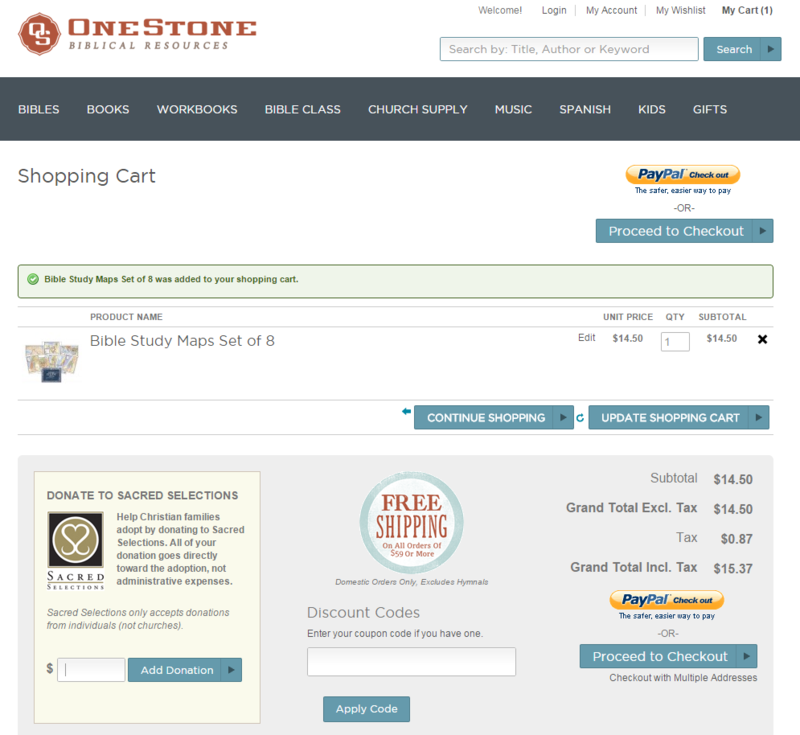 They are well positioned for continued eCommerce growth and they are on their way to becoming a major player in the online Christian bookseller and supplier arena. If you are interested in learning more about what InteractOne can do for your website, if you would like a quote for your MAgento project, please contact us or call us today to speak with an InteractOne representative at 513-469-3345.